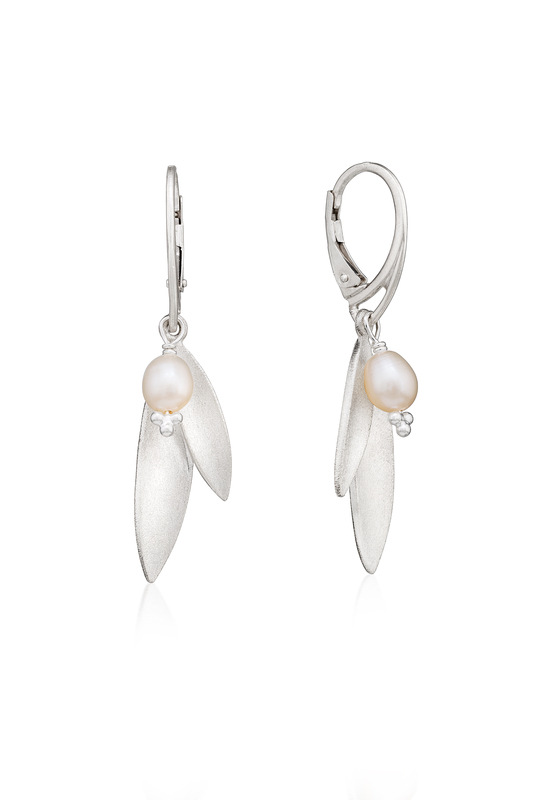 These are elegant silver drop earrings enhanced with a white pearl dangling beautifully from them. The leaves are cut from delicately brushed silver and have an exquisite sheen and on them. 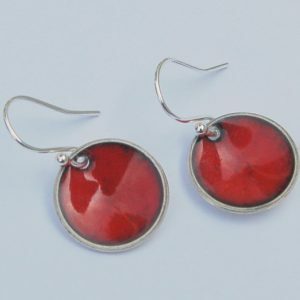 These lovely little earrings have a drop of 43 mm and are 10mm wide. 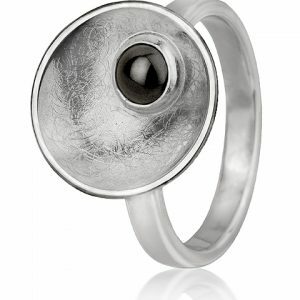 They are hand crafted and made of sterling silver. They make a lovely wedding present (or something special for your bridesmaids!) or as a little treat for yourself. 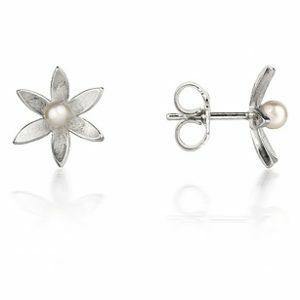 The earrings come gift ready in a lovely box.